First Author: B.-O. Demory et al. 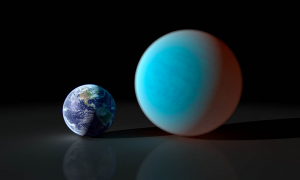 Back in May, Ellie wrote about the mysterious planet around the star 55 Cancri. Astronomers first discovered 55 Cnc e in 2004 and continued observations of the planet has shown that it is a very strange place indeed. Compared to our own solar system, the planet orbits 26 times closer to its host star than Mercury does to our Sun. This means that it orbits the star in under 18 hours! 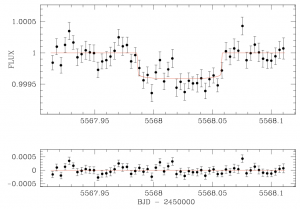 This is the shortest orbital period of any observed exoplanet. Because it is so close, the surface of the planet bakes at 3,200 degrees Farenheit. Upon discovery, 55 Cnc e was thought to be “super-earth” in size with a radius of around 2.0 Earth radii and a very large mass of around 8.6 Earth masses. 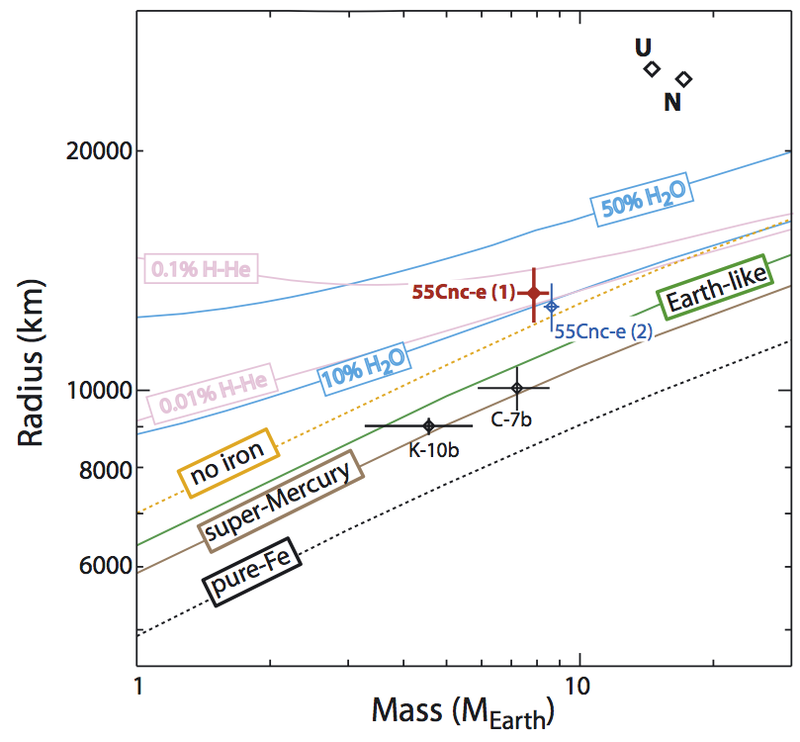 New observations with Spitzer confirm a radius just twice that of Earth as measured in the IRAC 4.5 micron band, but other observations point to a mass around 7.8 Earth masses. Spitzer is operating in ‘warm’ mode. This means that the telescope is without the coolant needed to work some of its instruments. One of the instruments that is still in working order is the IRAC camera at its shortest wavelengths of 3.6 and 4.5 microns. Based on the excellent Spitzer data, the team was able to come up with the revised value for the density. Instead of the densest exoplanet yet discovered, the planet now boasts a larger radii, and likely has water vapor and other gasses steaming from its surface. 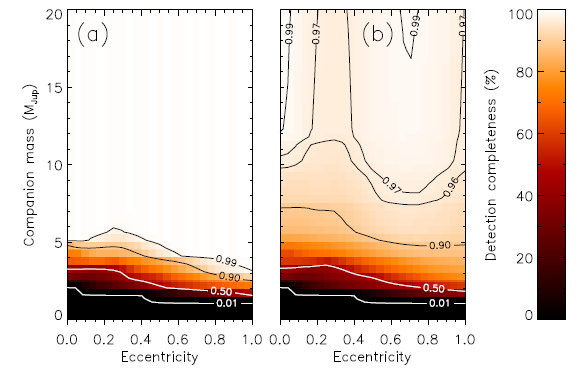 This only adds to the mysterious nature of 55 Cnc e. The Spitzer results hint that 1/5 of the planets mass must be made of light elements and molecules. This includes water. But don’t expect to find liquid water here! In the intense heat and pressure those elements would exist in a “supercritical” state, between a liquid and gas. Transit photometry from Spitzer with the best fit transit model in red. 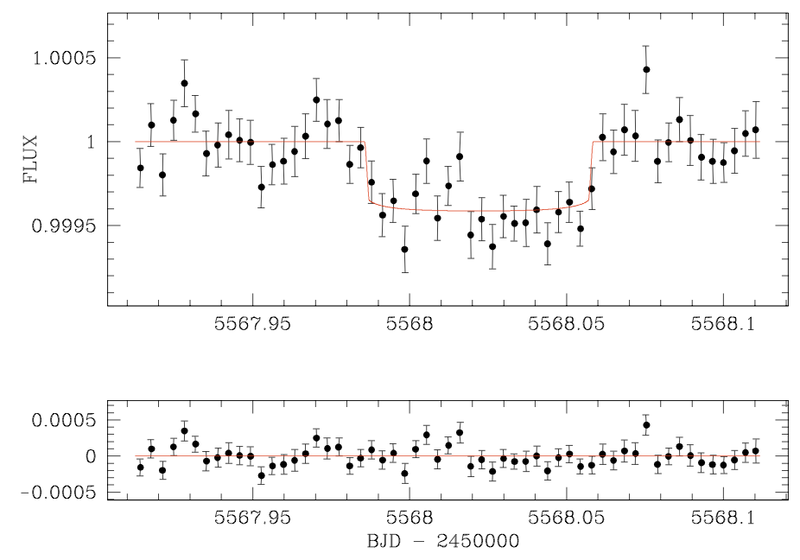 So why is 55 Cnc e so close to its host star? A good question for the theorists! New models of planet formation and evolution will have to explain how this type of planet could wind up so close to its host star. Could gravitational interactions with other planets push it so close? What about migration during formation? It could be that the planet’s orbit is unstable and will soon be devoured or ripped apart by the star, but if this will happen or not is an open question. Mass - radius relation for 55 Cnc e along with four different rocky compositions and two types of volatiles compostions. Don’t expect this to be the last you hear of this planet. Some mysteries only grow deeper the more you know!